Nothing much going on around my corner of the world, as my flowers seemed to stop blooming. 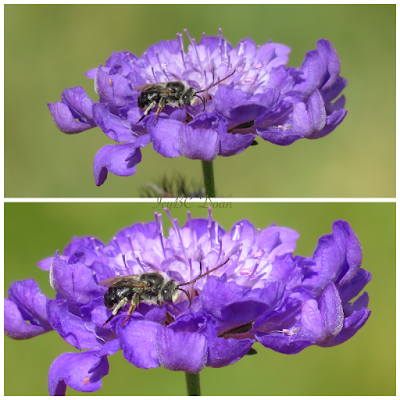 These pincushions are perennial, but I think the blooming period has come to a halt. We also had a heat wave and a rain storm, so weather has beaten them up very good. I also believe that growing them in container isn't helping either, and plant on transferring them in the ground when the temperature isn't scorching hot to work in the garden. When skipper comes to visit, and if I can see it; it is a good day! 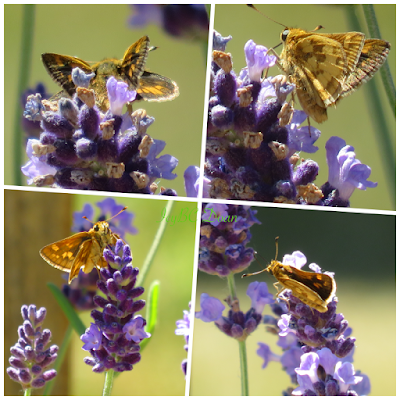 This summer I am very lucky to see this beautiful wings once in a while, especially in a complex with very few trees and plants. 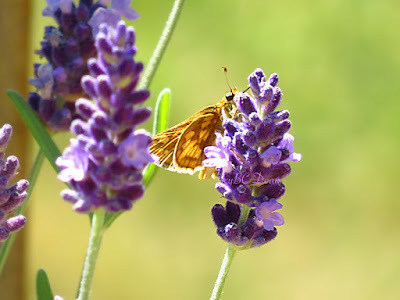 My skipper came back and this time it visited my lavender pot! 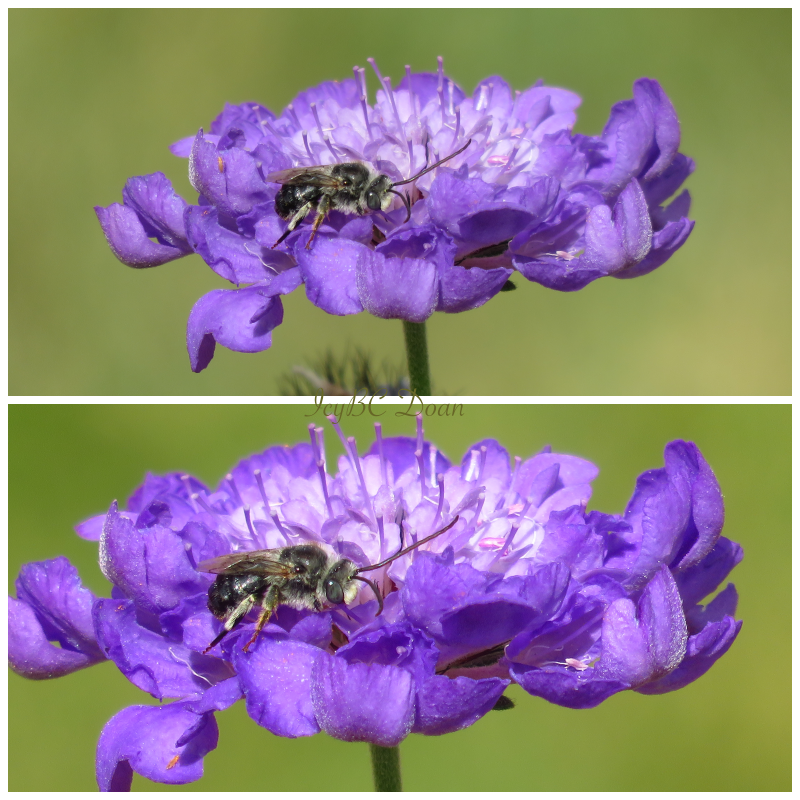 I almost didn't see it until it jumped around from one flower to the next. I don't know if this is the same skipper that were on my tickseed flowers or on my pincushion. I wanted to think that it is the same skipper :) I am still amazed that there is plenty of different critters around this condo complex! I guess when you are lucky, you're lucky! 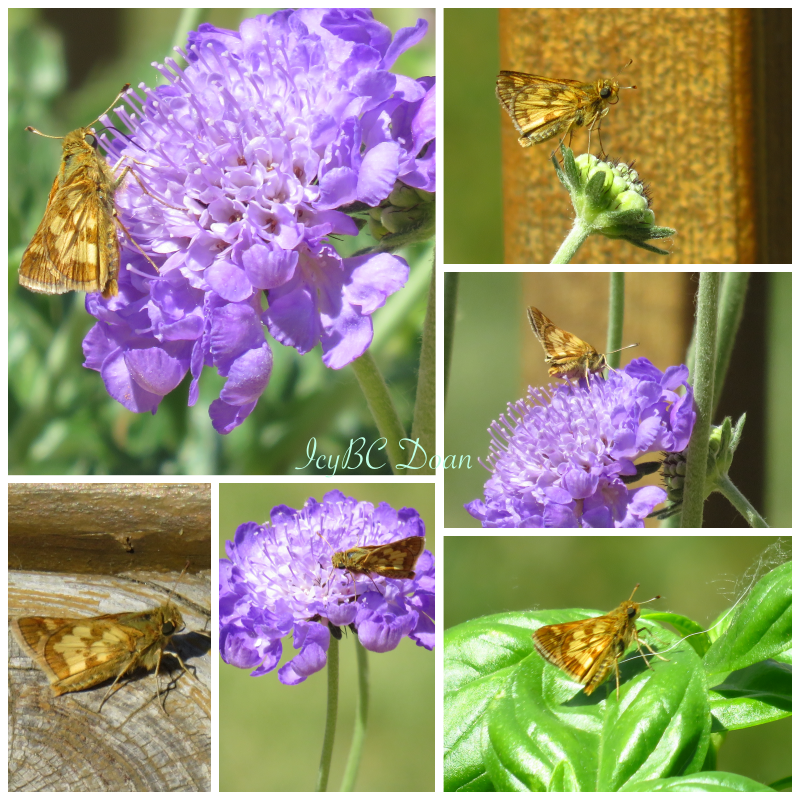 After the black swallowtail came to visit, this little skipper also came. 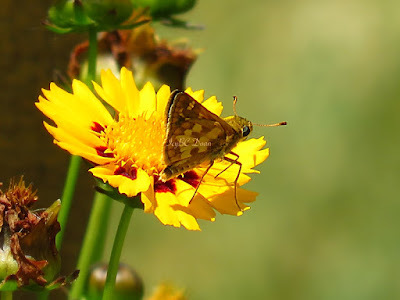 When I looked up to see what flower would attract butterflies, skippers, and bees, pincushion was one of them. 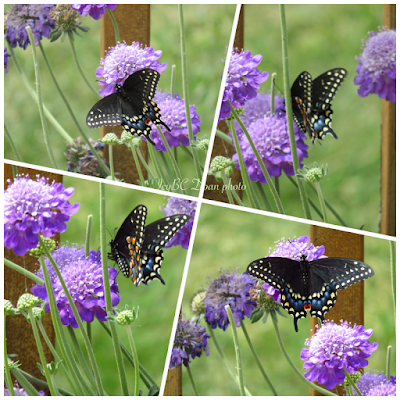 My hard work and effort paid off when I saw this beautiful black swallowtail butterfly came to enjoy these gorgeous lavender pincushion. I purposely purchased this pincushion for butterflies, skippers and bees. She was lost right outside my living room window, yapping and calling like she was hurt. My dog and I was disturbed so I went out to check. 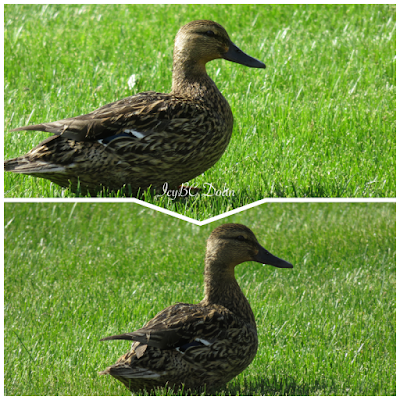 It was a rare occasion to see duck walking the lawn in a complex where there was no water around. 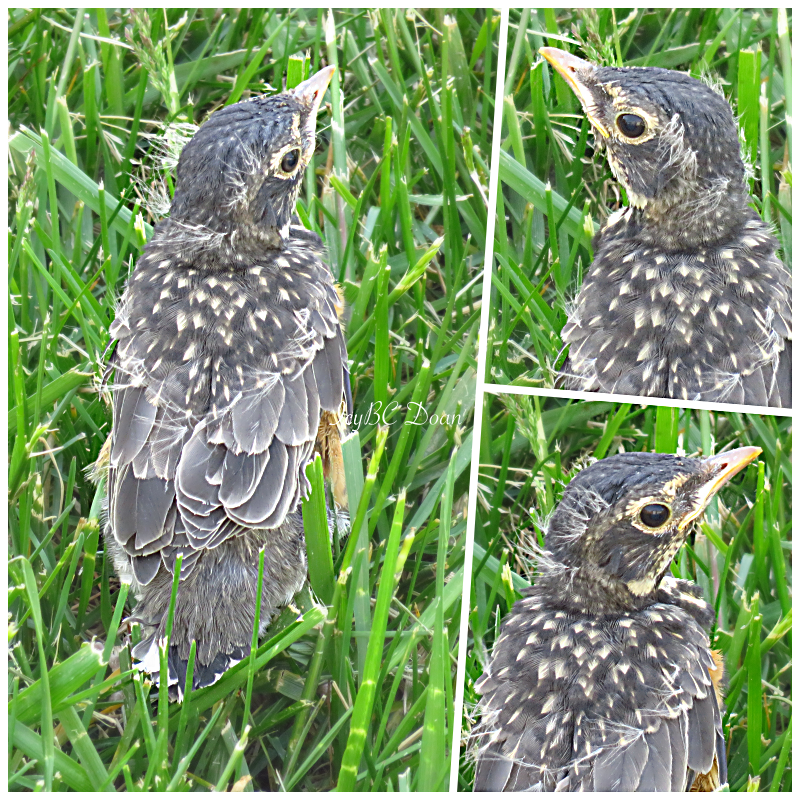 The baby robins have now left the nest. I saw this one in the backyard grass! They have fled the front yard all around the condo and ended up by my deck. 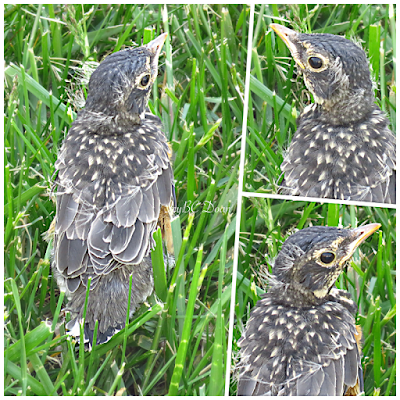 Mama and papa bird were calling, but this baby was so little and barely move. As I have mentioned before, we just moved to our new home in December. Thus, we are new residents! Surprisingly, we now have new residents sharing our dwelling. 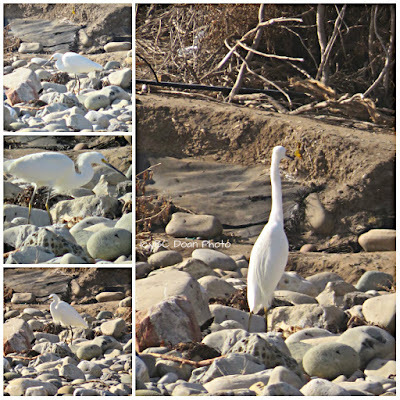 I don't know what type of bird this was, but I saw it in Santa Barbara, at my sister's house while visiting there in February. 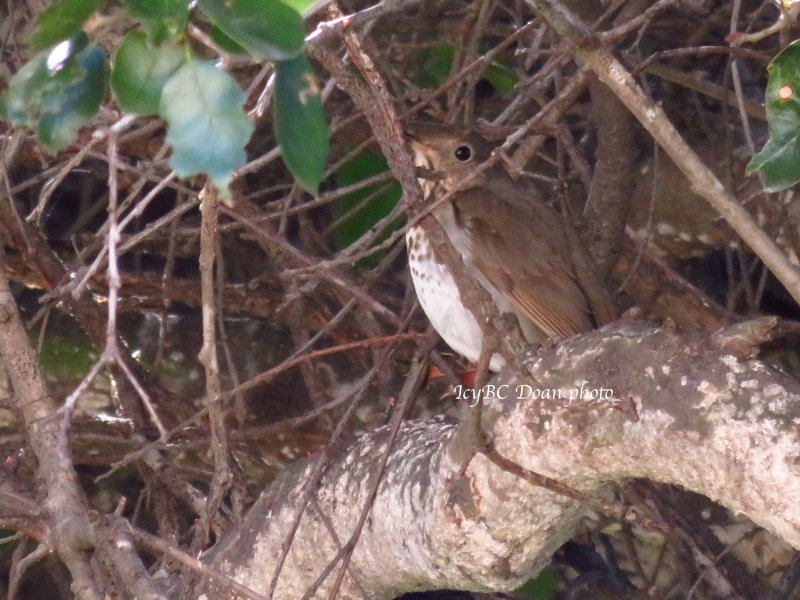 It is an unknown bird to me. There were lots of this bird around in her yard every day, and my photos got lost in the shovel of too many photos. 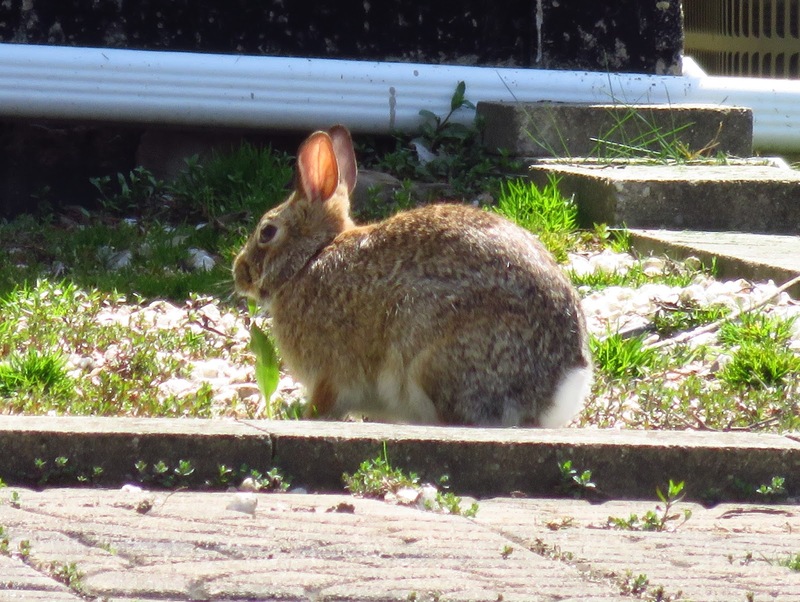 I spotted this bunny in the backyard of a neighbor. Since this is a condo complex, we don't actually have our own yard. 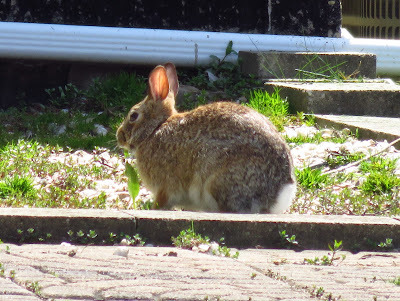 Everything is connected and it is just one big open area, so seeing a bunny I was so thrill. 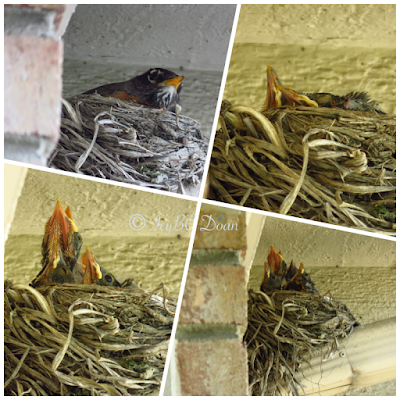 On the contrary to my worries when I move to a new place, I am still able to see birds up close and personal. Since the little tree is so close to my living room window, I was able to shoot some pictures of these house finches through the glass. 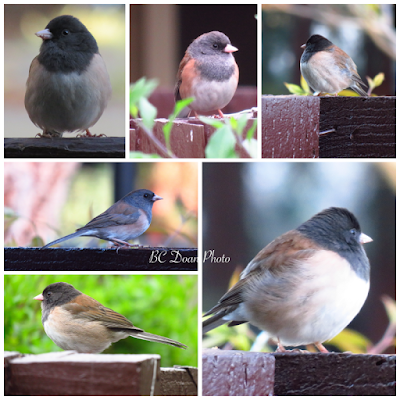 I have called these birds the California Juncos! They are the prettiest juncos I have ever seen, as Michigan Juncos are very different looking with just gray, white or black feathers. Coming home after dropping my son at school, I was greeted with a tree full of birds. 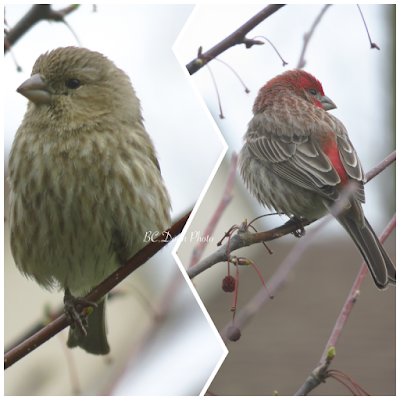 At first, I thought they were sparrows or robins; however, the calls were different. They were the gold finches. 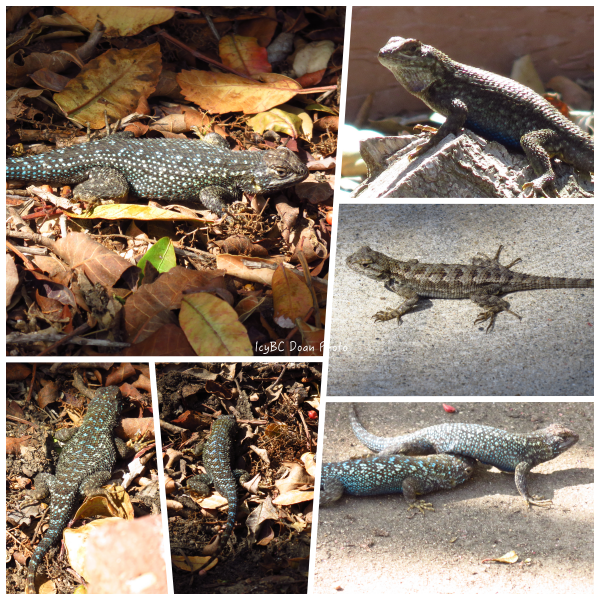 These are just some different lizards, caught on camera on different dates! There were some green ones, brown ones, and creamy ones. 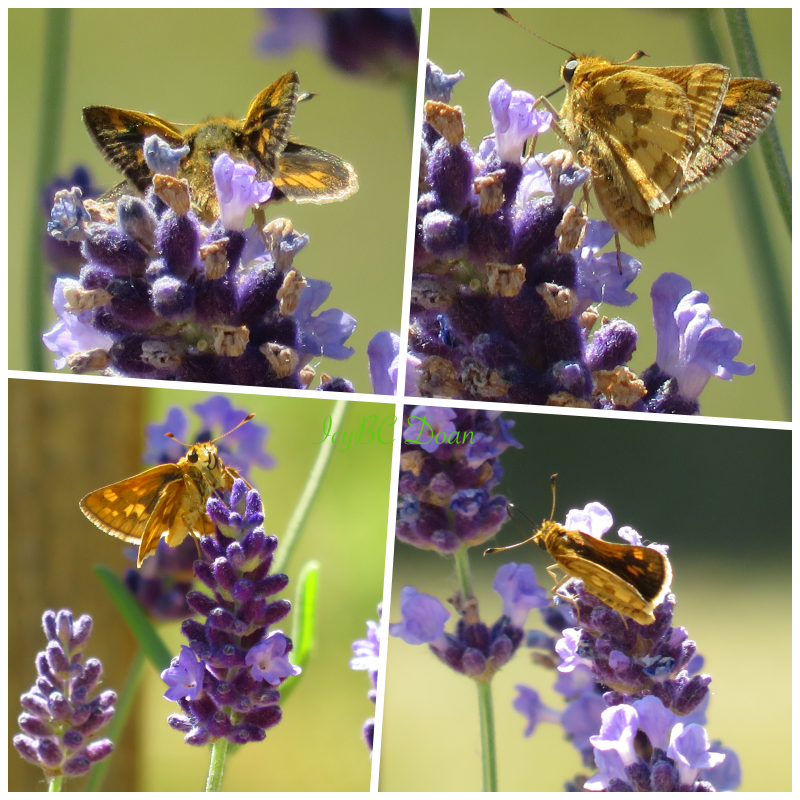 They were quick in running and hiding, but the afternoon sun seemed to be the best to see them. My last weekend here in California, we went to Haskell Beach. The sun was warm and the wind blew sun kisses! We watched and watched people enjoyed their relaxing time doing what they loved to do. 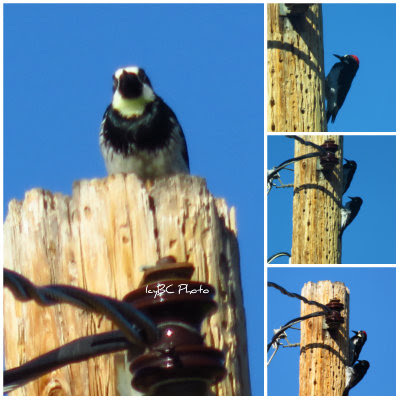 I spotted some woodpeckers on an electrical tree pole in the parking lot near my nephew's school. I did an online search, and found out they are called acorn woodpeckers. According to what I read, the acorn woodpecker male has a red cap with a white forehead; and the female acorn woodpecker has black forehead. Their call is very distinguish and different from my Michigan downy woodpeckers. 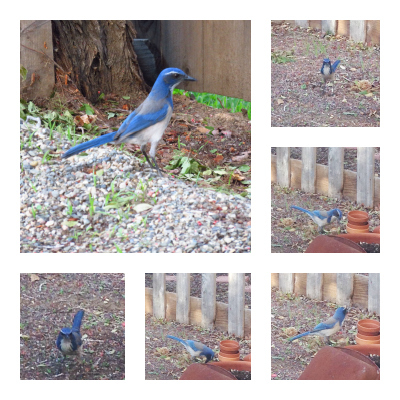 I believe this is a scrub jay and this was my first time seeing it in person. 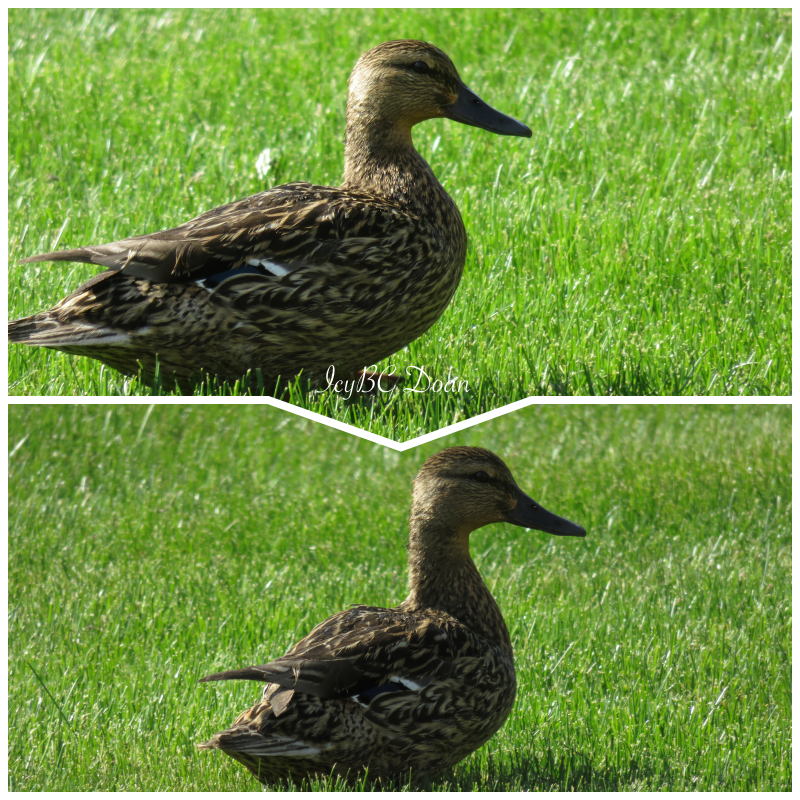 He/she caught me by surprise when landed in my sister's yard as we were heading out to church. 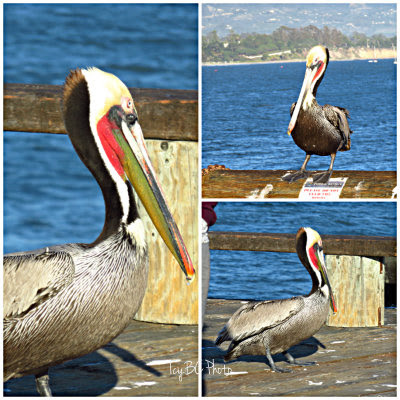 We were walking on the Santa Barbara pier when these two pelicans landing and expecting some hand-out foods. Visitors and local residents were thrill just the same. They provided the high light of the early evening on the pier and of course enduring the many cameras that were pointing at them. 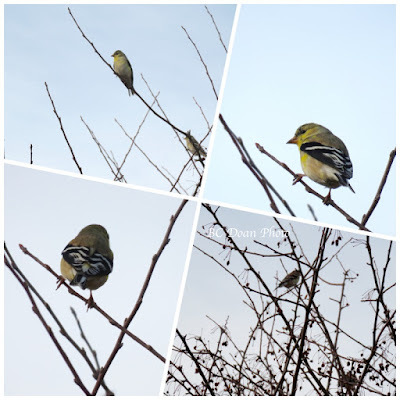 I am very poor in identifying birds, and I have searched online for the past couple of days. I am confused as ever! 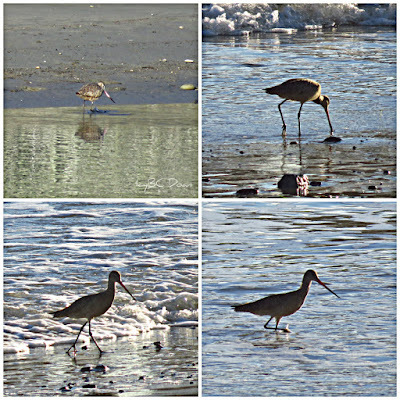 At first I thought this one is the long billed curlew, but upon closer look, the beak isn't curved. So that was out the window. 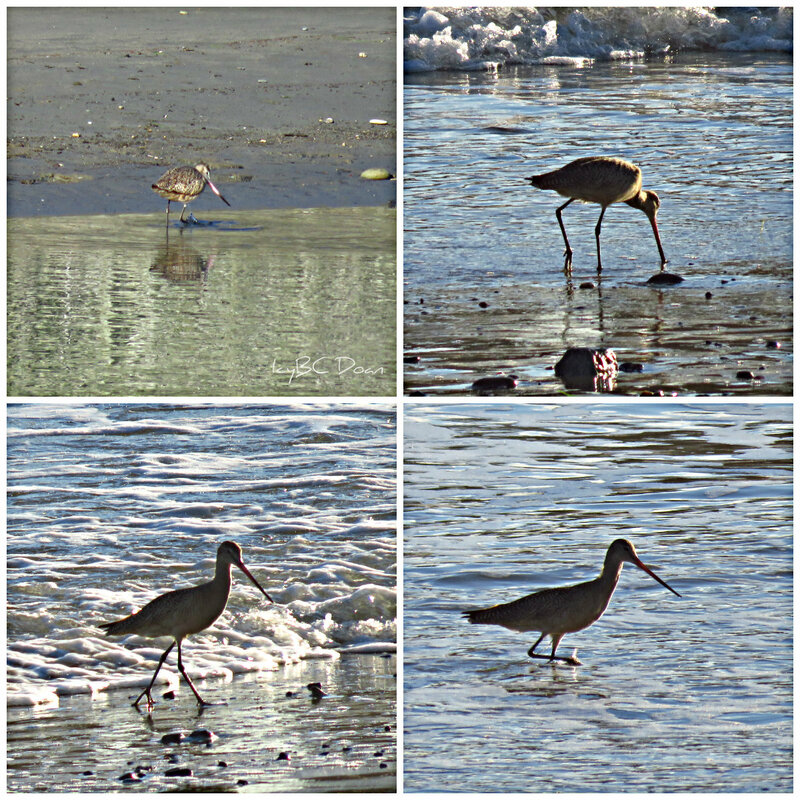 Then I thought it might be the short billed curlew, but no, the beak is too long to be it. 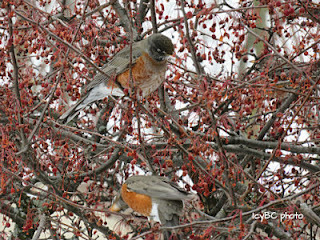 This is a very strange year, as robins are still around and stay active. By the side of my front entrance way, this berry tree is a gathering place for robins, and starlings.